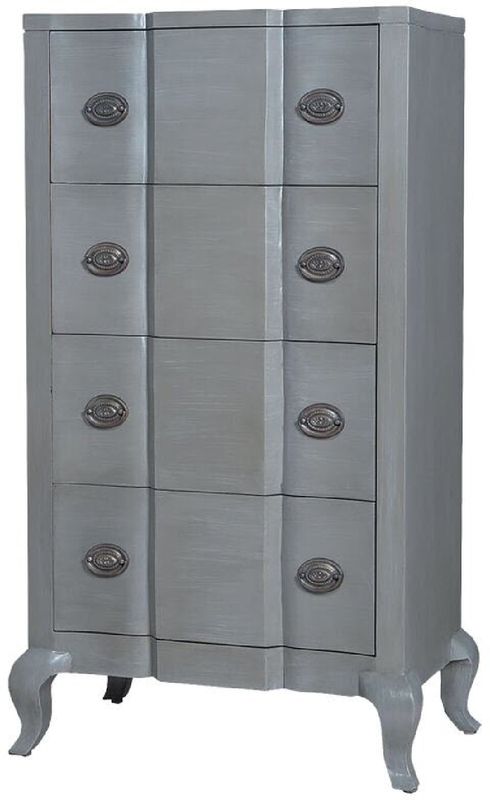 MANOR TALL BOMBE CHEST - Manor Garden Gate finish on tall four drawer chest. Antiqued hardware. H 52" x W 30" x Depth 18"